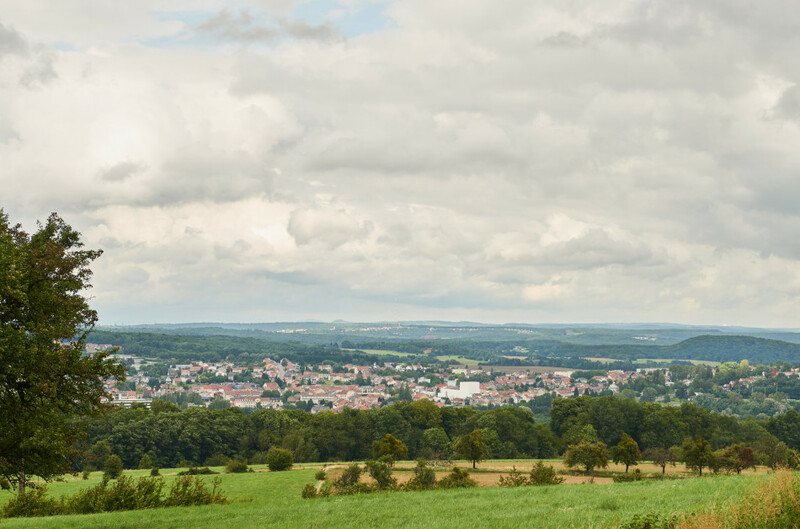 Freyming-Merlebach is a town with a substantial industrial past, in a part of Lorraine that developed in the 19th century, driven by the coalmining industry. 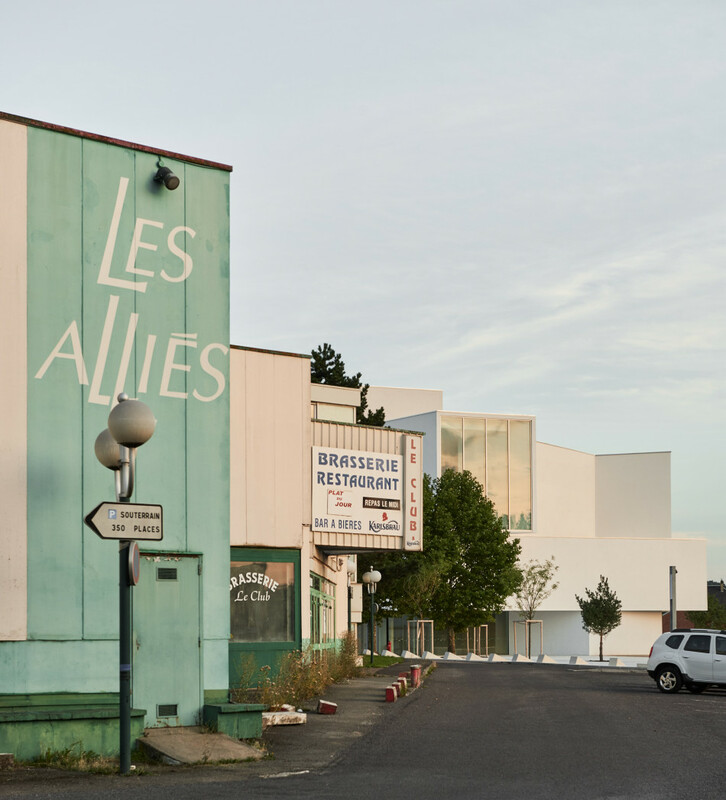 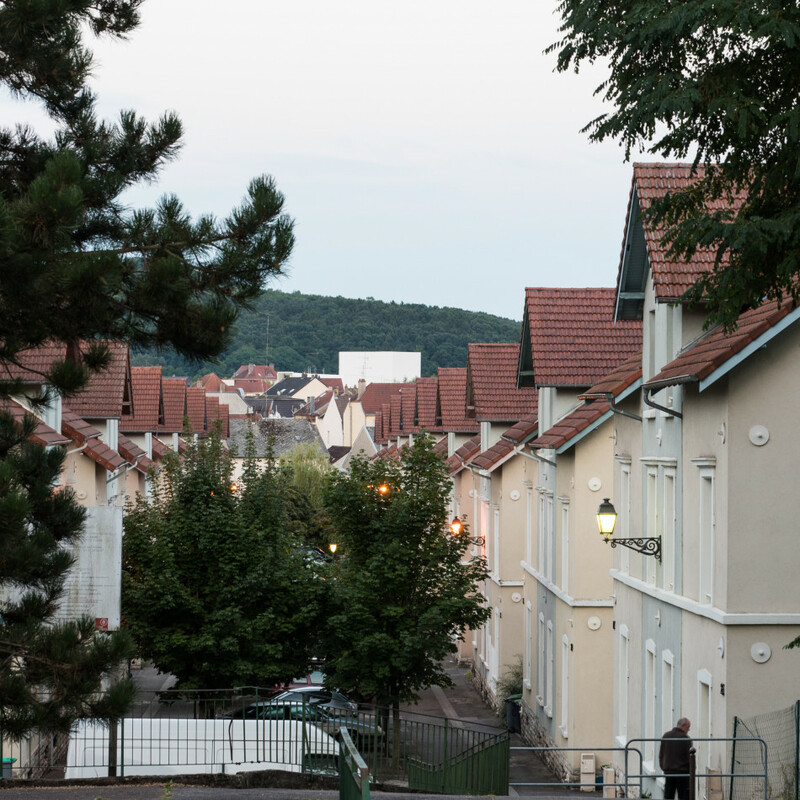 Since the closure of the mines in the 1990s, this part of north-eastern France has seen a sharp increase in unemployment, and culture is seen as one possibility for resolving the accompanying social and economic difficulties in the town. 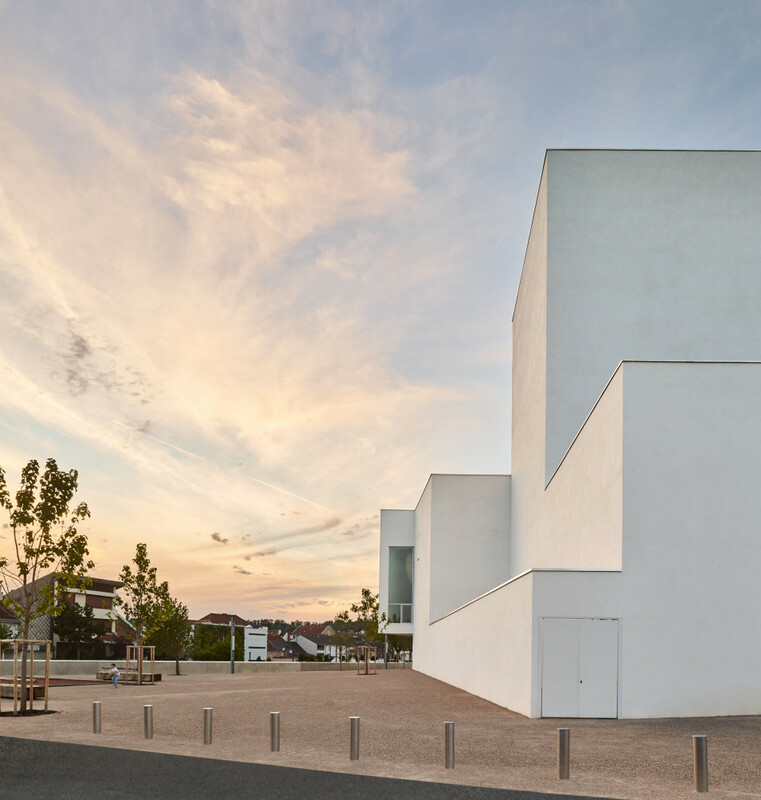 The theatre has become a symbol of the town’s renewal, and its position is generating a new public space in the town centre. 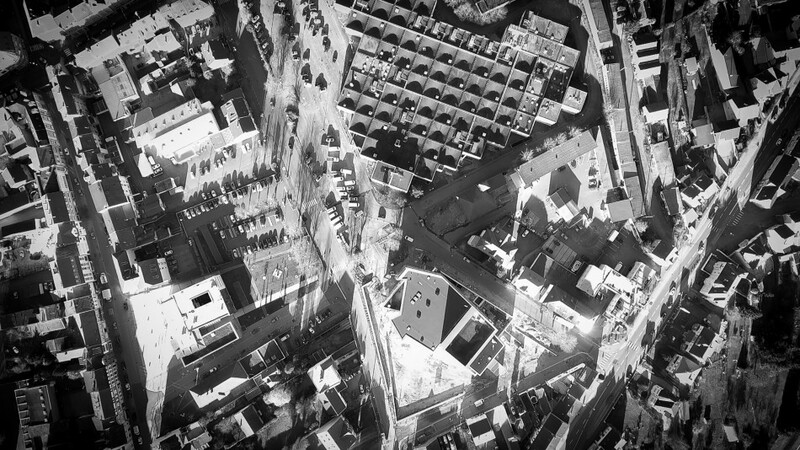 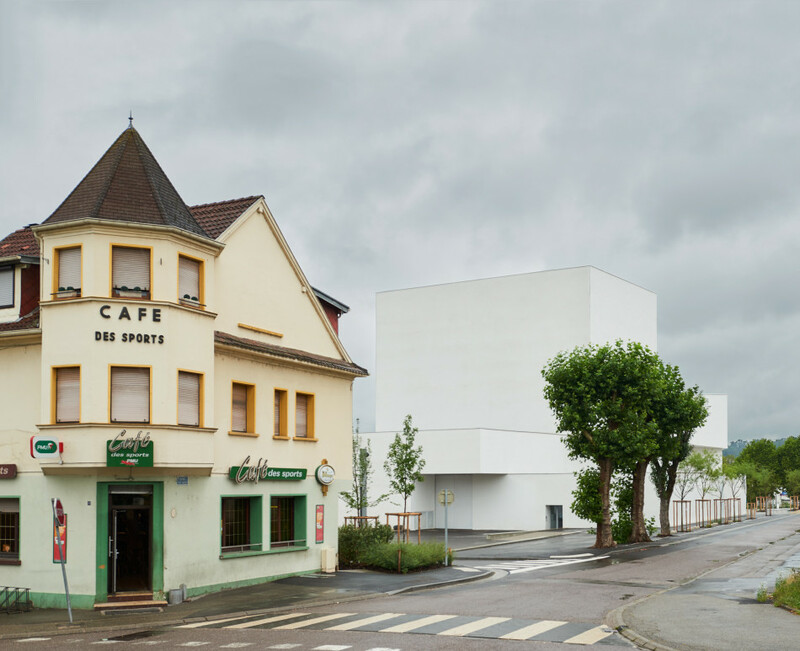 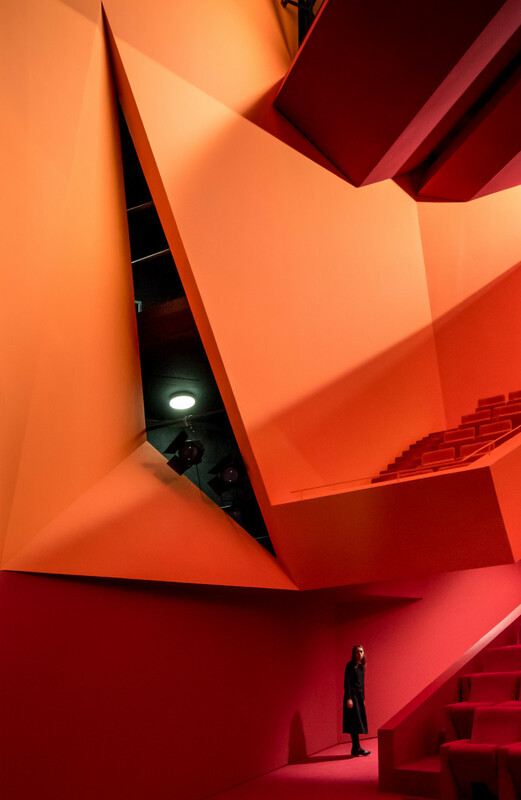 The theatre sets up an energetic dialogue with the heterogeneous urban landscape, shaping itself to fit the context and logic of the existing flows. 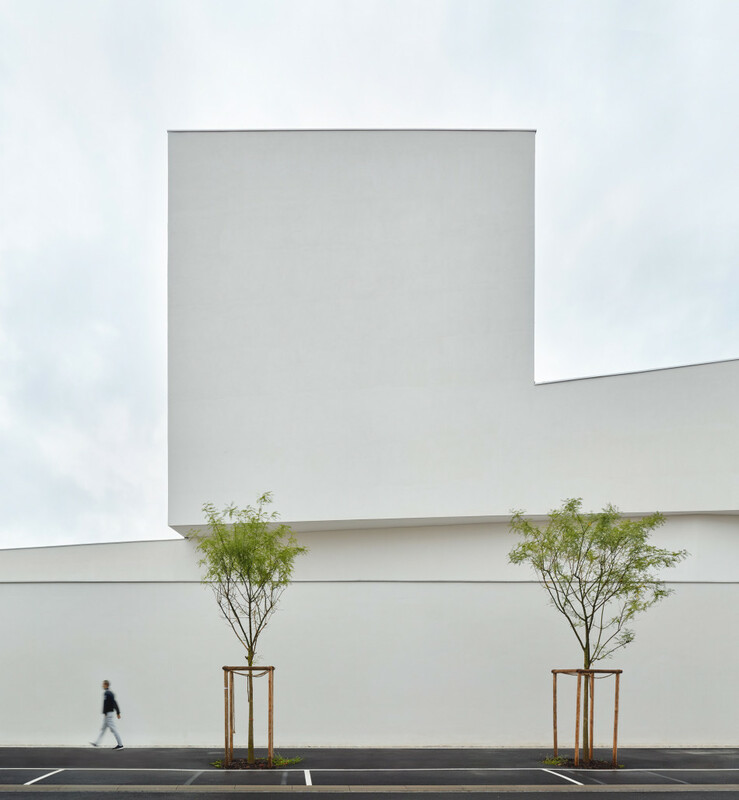 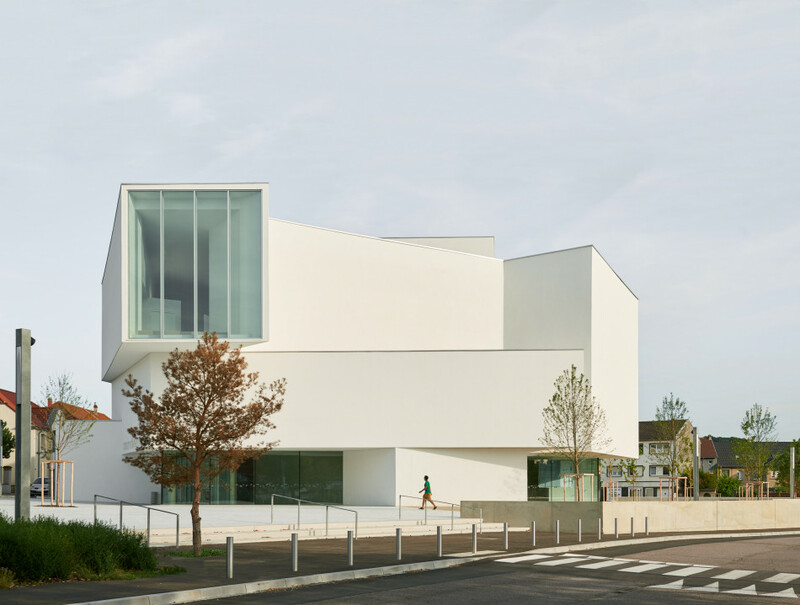 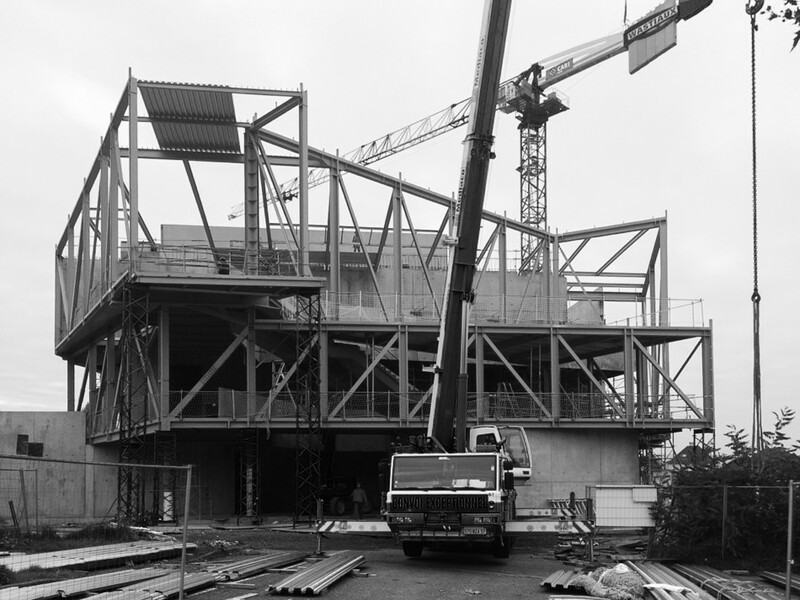 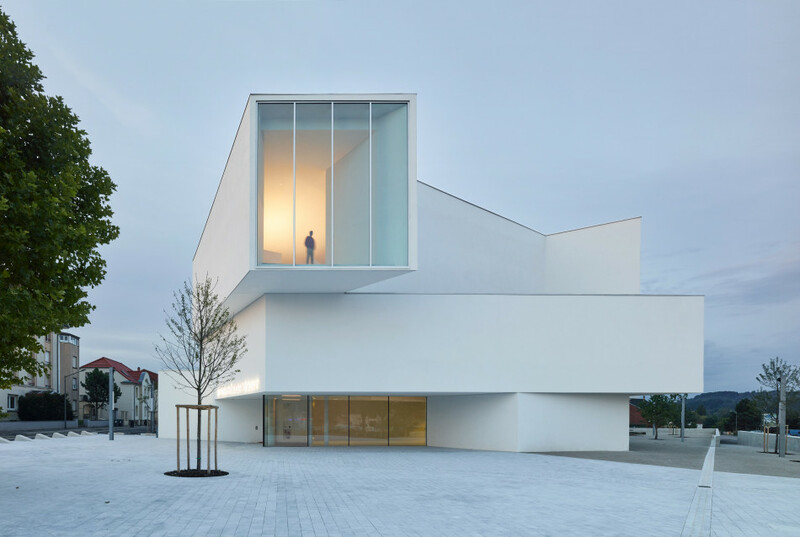 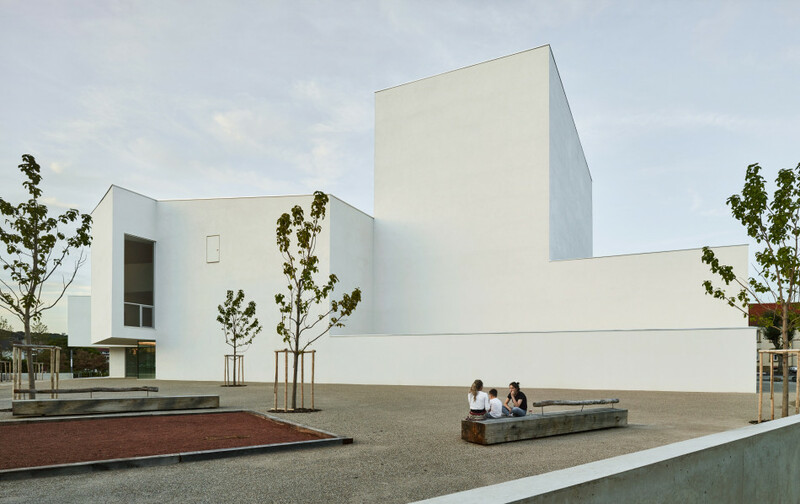 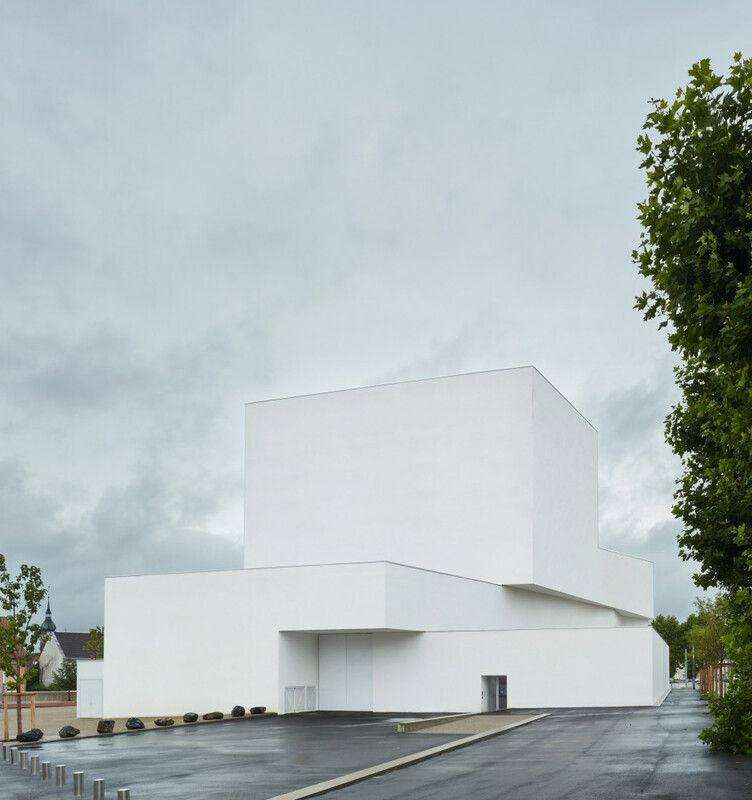 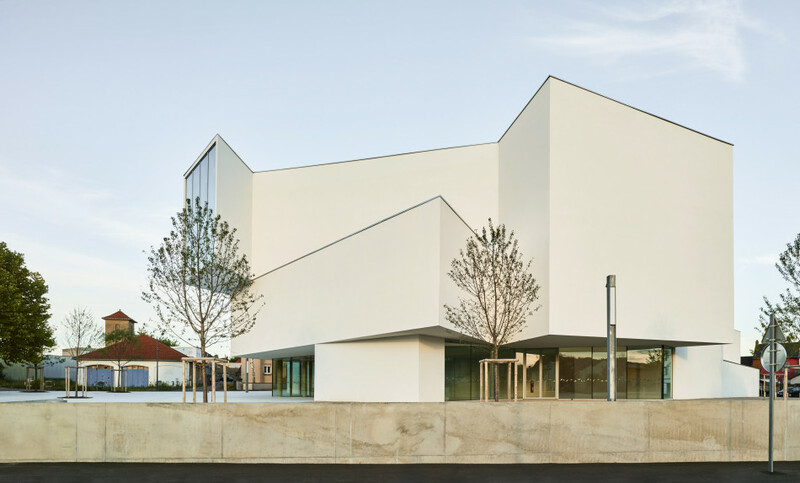 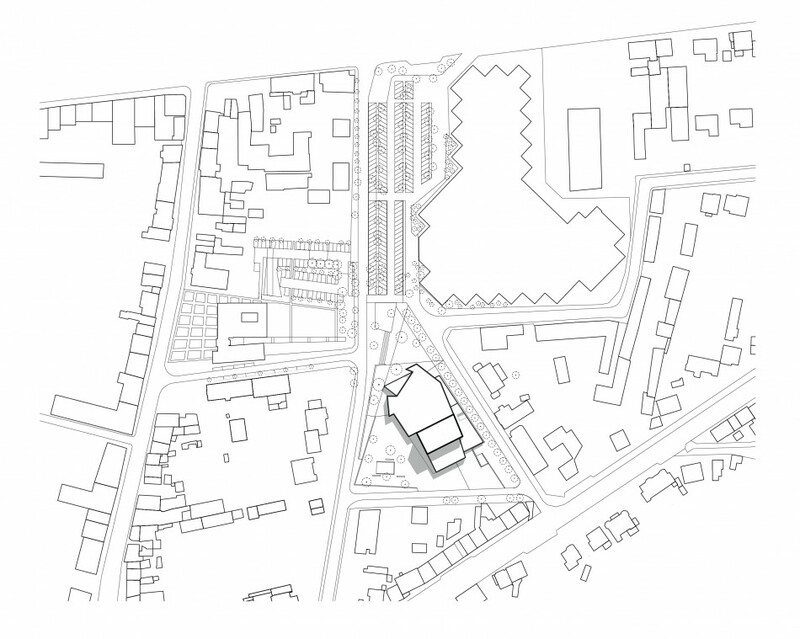 It stands on a base, alongside the new municipal offices; its unusual shape and dimensions give it a streamlined silhouette, the lines of which ensure visual transition between the various parts of the programme while keeping on the same scale as the town. 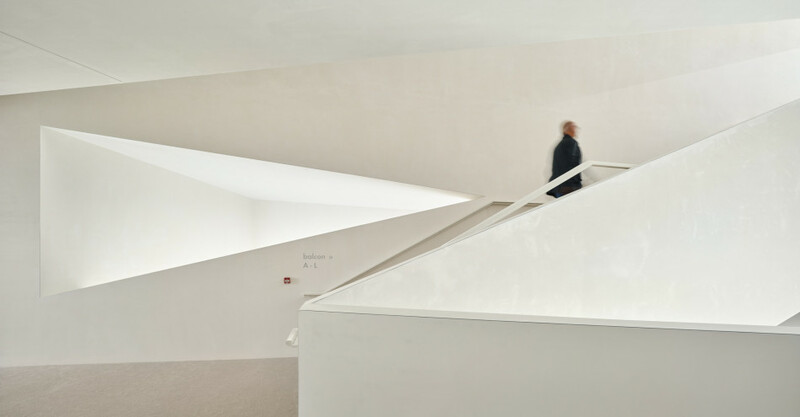 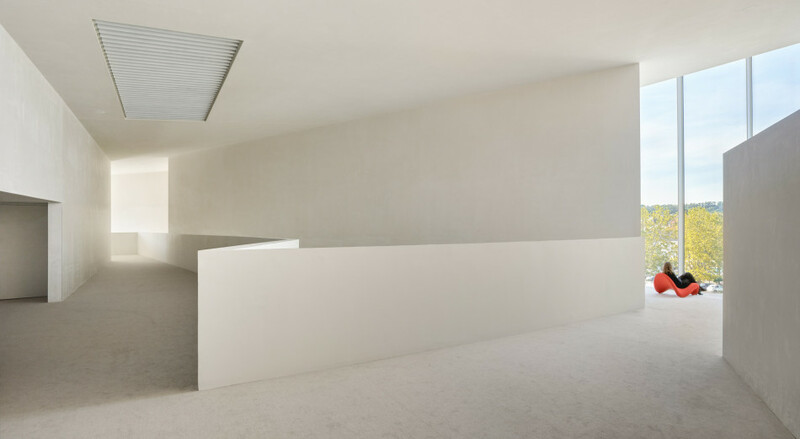 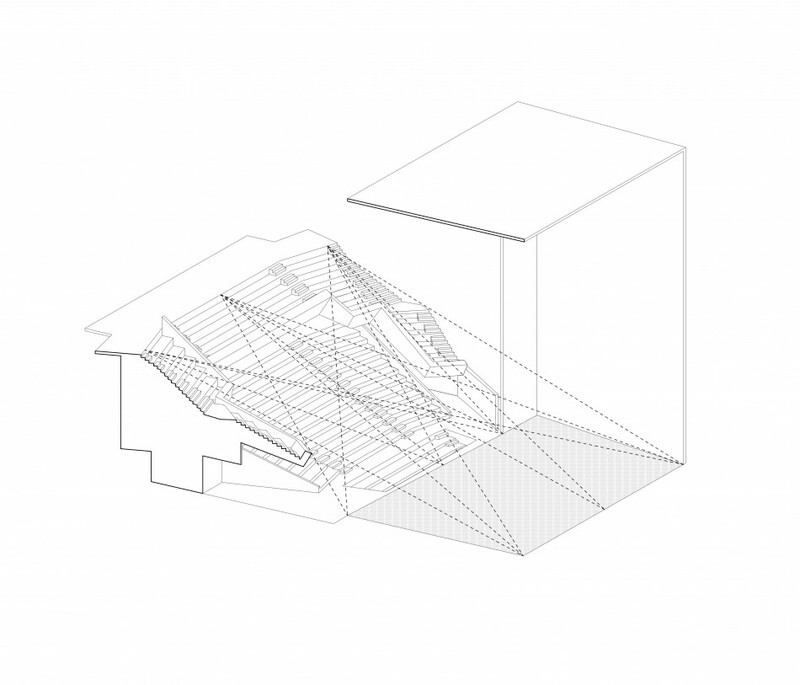 The visitor’s interest is caught by the animation of the volumes: in the upper part, the foyer is offset to indicate the entrance, while in the lower part, transparent elements allow glimpses of the wealth of interior routes and invite the visitor to enter. 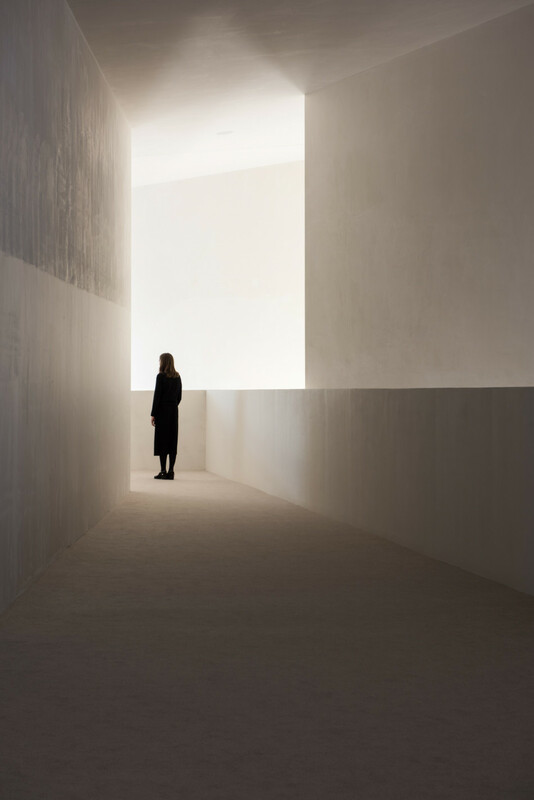 The uniformity of the untreated plaster and the softness of the carpeted floor contribute to the feeling of being in some kind of cocoon. 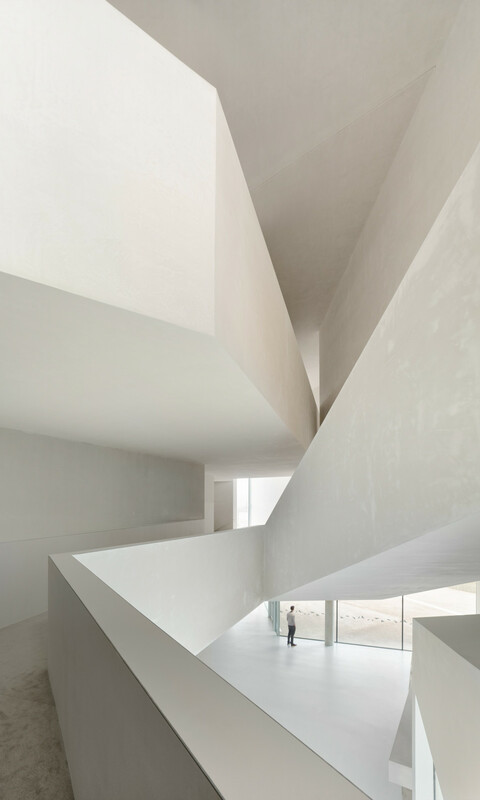 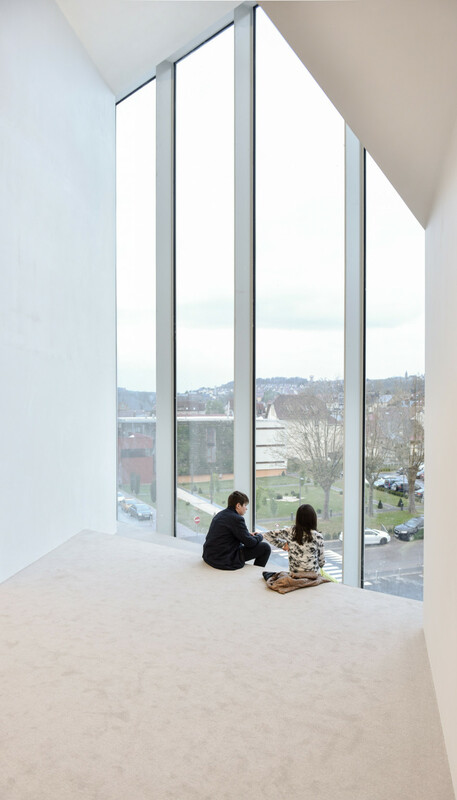 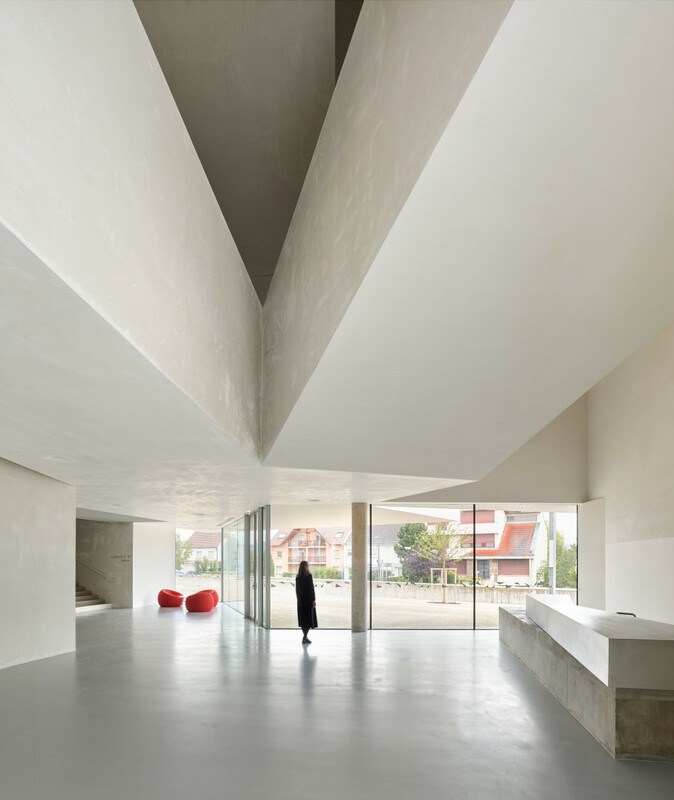 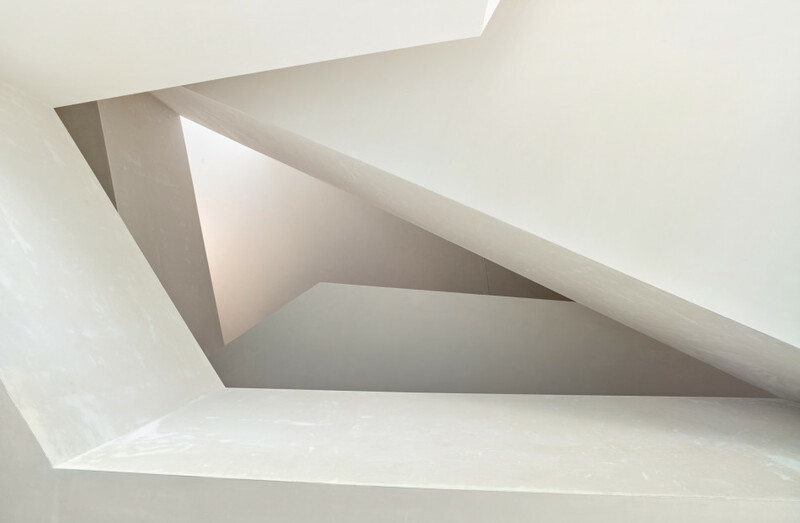 Natural light enhances the various faces and reveals the building’s shape and dimensions. 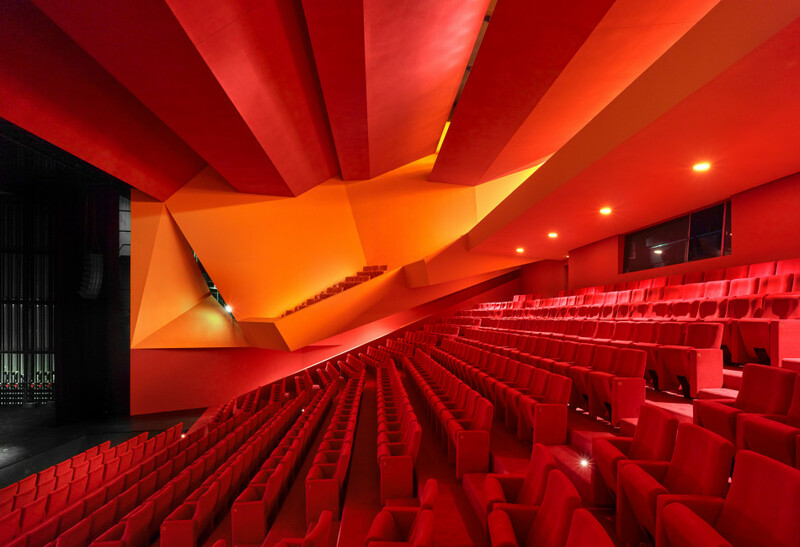 The route to reach the auditorium is therefore deliberately spectacular and theatrical. 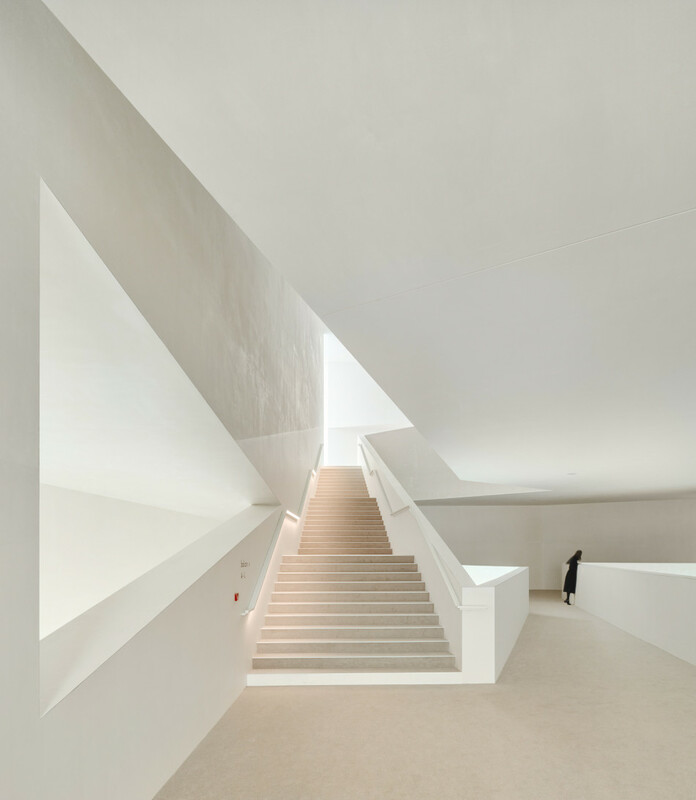 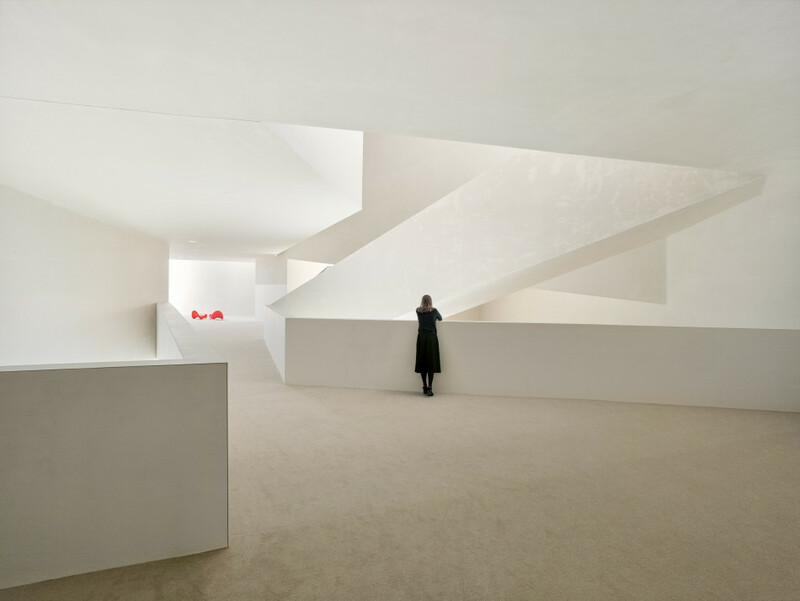 The building presents the town with an immaculate white facade, while the foyer is in shades of beige. 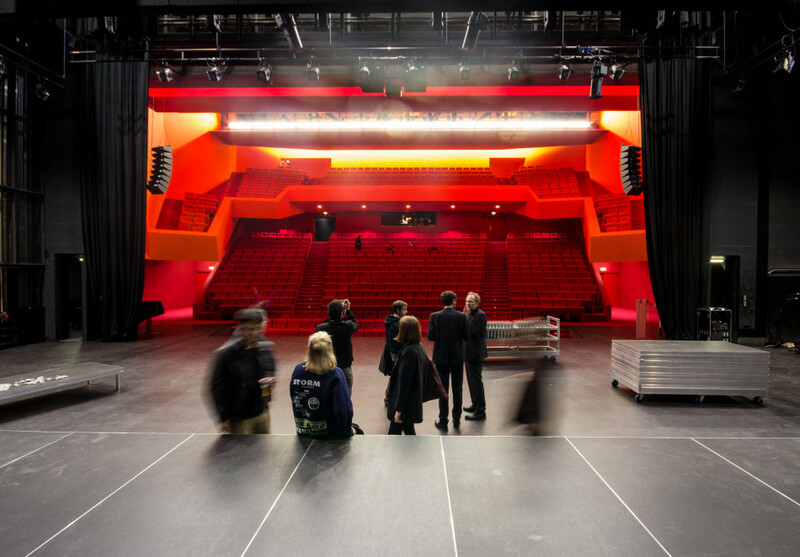 The 700-seat auditorium constitutes a complete break with the foyers. 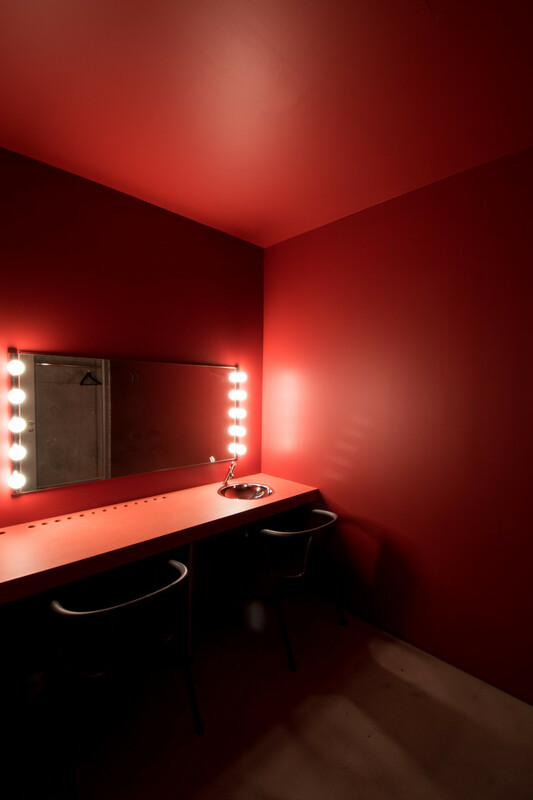 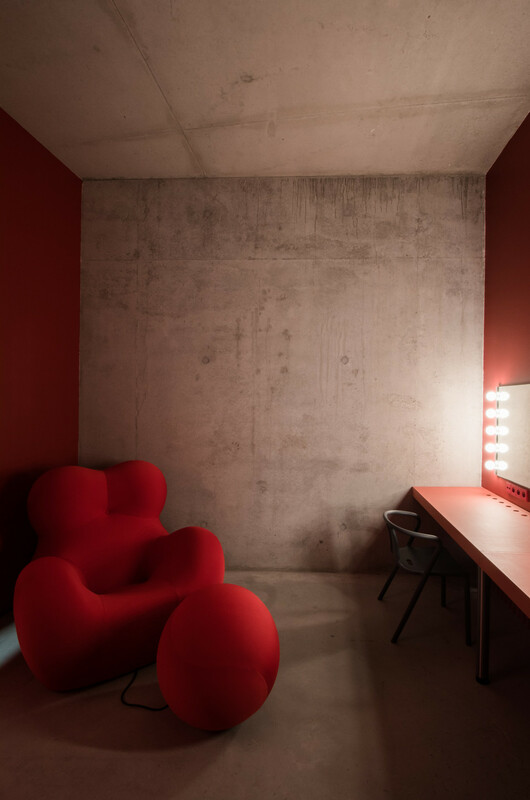 Red, pink and orange lend density to the space, affirming it as the main feature of the project, with colour sanctuarising the idea of performance. 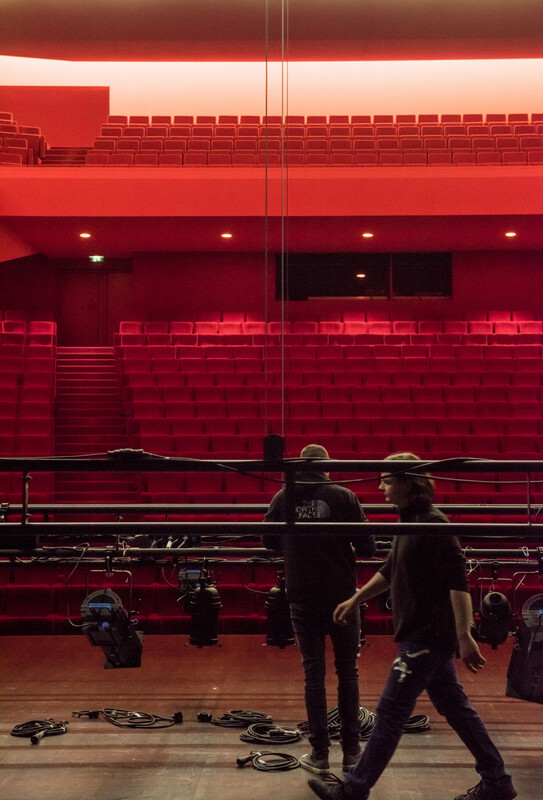 Visibility is optimised in the auditorium: the most distant spectator is only twenty metres from the front of the stage. 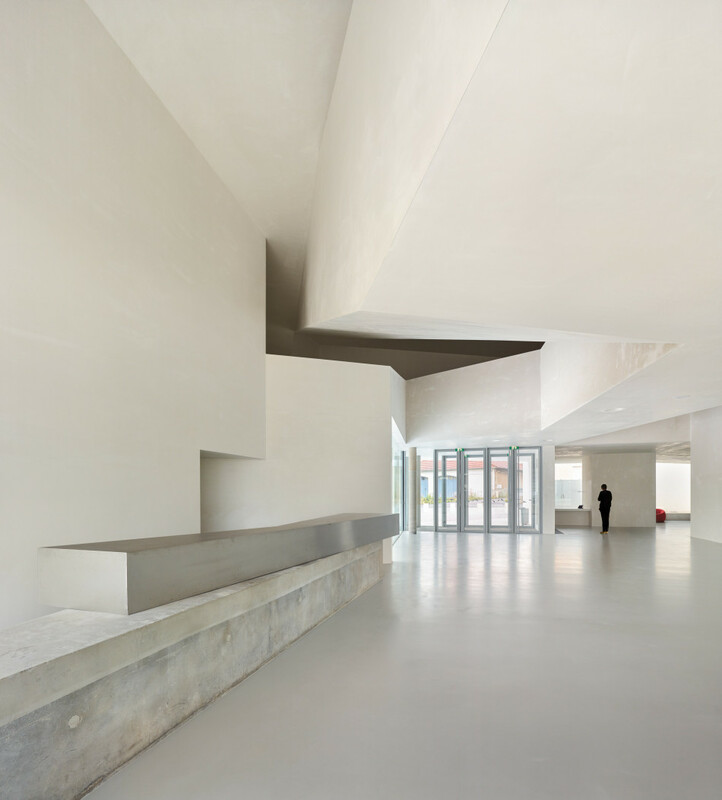 The foyer and public areas are flooded with natural light, varying throughout the day with the course of the sun. 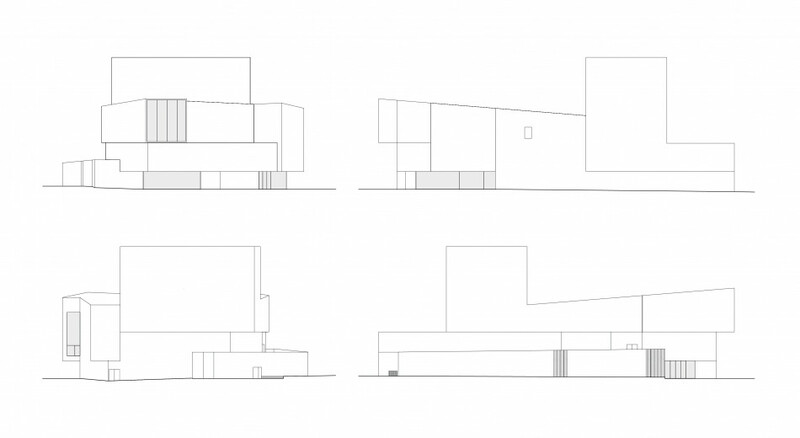 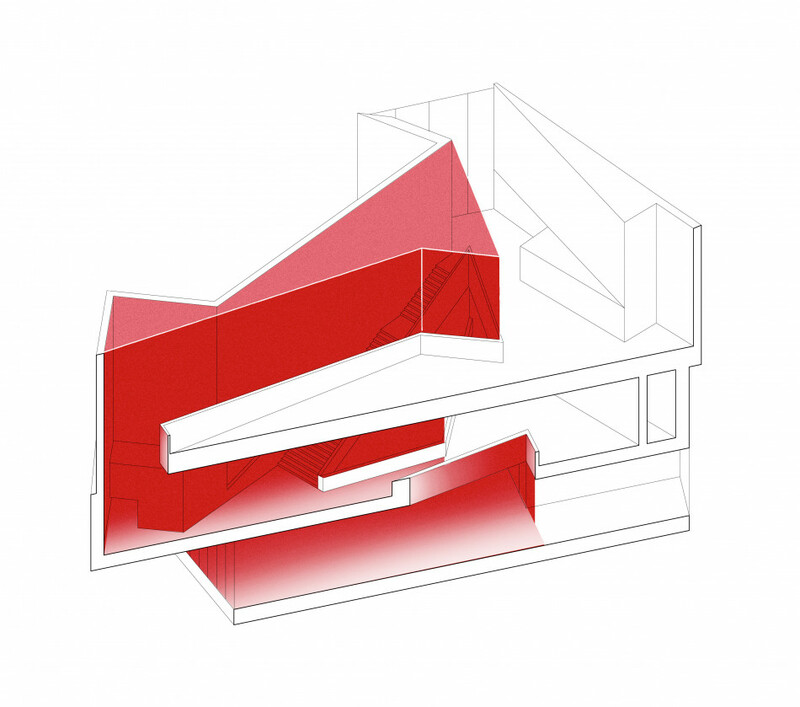 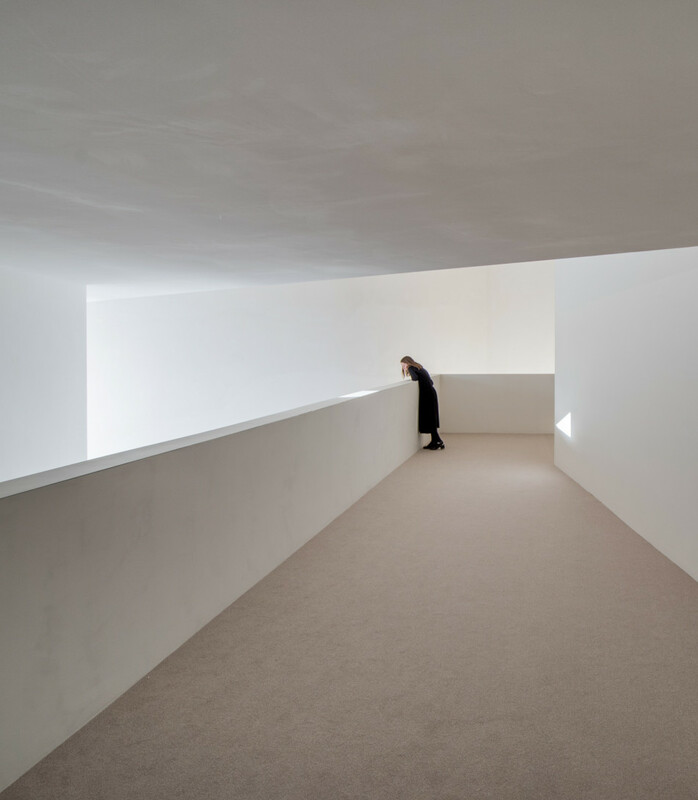 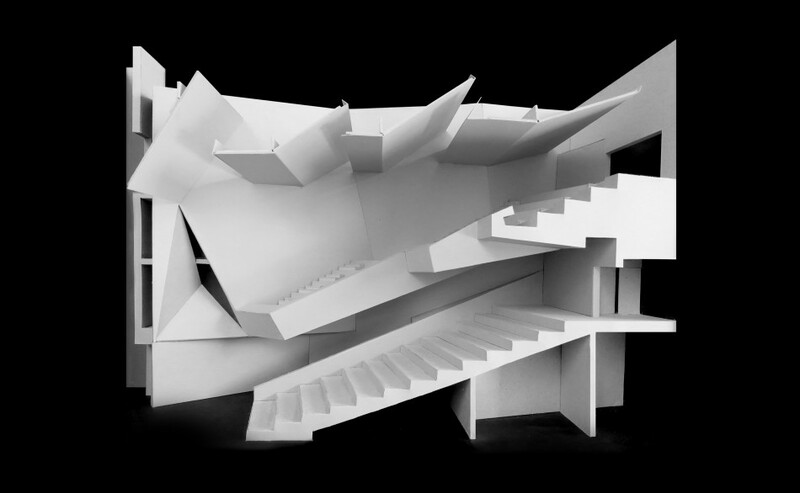 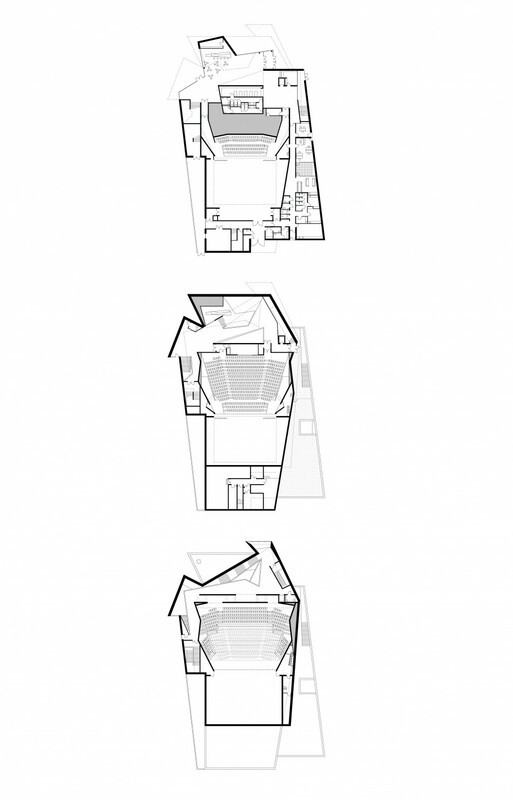 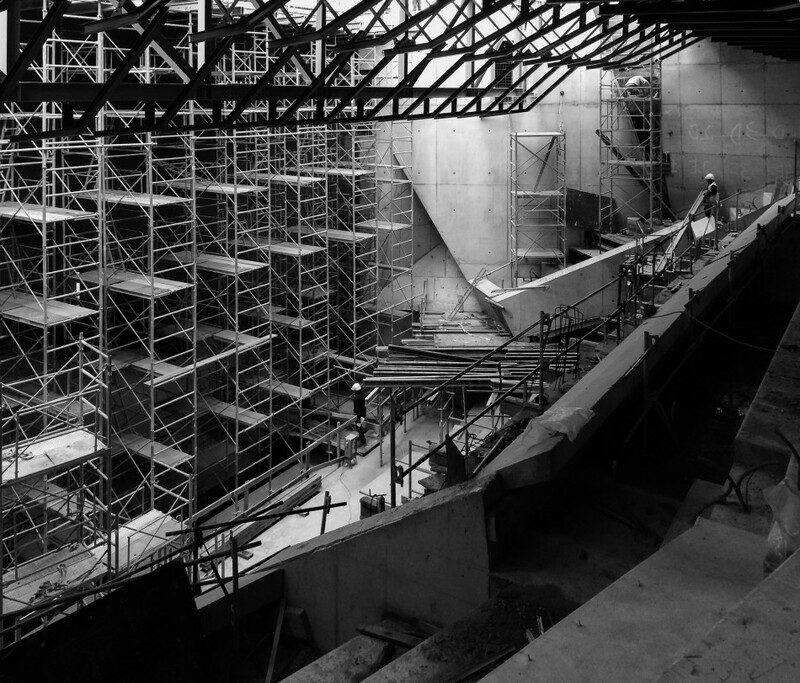 This evolutive, dynamic spatial staging echoes the very image of the theatre.